A welcome, inclusive loving and vibrant Christian community that reaches out to the wider community to share in God’s love. Our purpose is to be witnesses to the Resurrection, and offer ourselves to God through building and sharing a deeper understanding of His love and our Christian faith. We are here to celebrate the love of God, taking strength from our belief. We share our Christian faith and live our faith in action within our community, and the world. We acknowledge we are part of the worldwide Anglican Church and we embrace this mission in our parish life. It is with great pleasure I write to introduce myself to the Cobram Anglican Parish and the Cobram Anglican Grammar School family. As well as being an Anglican Priest, I have been a teacher in both Secondary and Primary sectors of Catholic and State schools for over 30 years. I have taught in different states and was on the initial team for the National Curriculum. I was also on the team (a long time ago now), for the Council for Christian Education in Schools and was their field officer for the North West Region of Victoria. I trained the volunteers to teach Religious Education in Schools, and help implement their curriculum. During my teaching career I have held leadership positions. But the most rewarding thing was being in the classroom with the students. I have a passion for family and youth ministry. Pastoral Care which involves the parish, the whole school community and the wider community, is a high priority. Being the face of the Gospel message and embracing this message, embrace daily is life. I pray it is contagious. I have a love for participating in amateur theatre especially musicals, and have an outrageous sense of humour (I try to control this somewhat successfully). Our journey begins together. I am very honoured and proud to be part of the Cobram Anglican Parish and the Cobram Anglican Grammar School family. Looking forward to being with and along side you. Over the next few months, there maybe some change but it will be shouted in the end, because if we would like the church to grow, be vital and be a verb, we need to lead and be joyous as we do so. Leave the judgement up to God. Let us get on with the business at hand. We need to be buoyant, go with the flow of the knocks and knock backs, turn the other cheek and get on with it. Ask for help, and pray together, reassure each other. And do so with a cheerful, forgiving, faithful heart. Over the next few months the Parish of Cobram is embarking on mission in a big way. The Alpha Program is all about introducing Christianity from the ground up. Practical. It will go for 11 weeks. We will watch a video, have a short discussion then onto some delicious supper. This program is for people who come to church or who don’t. It is NOT a ‘people drive’ for the church. Everyone is welcome to join us. Bring a friend. Your invitation is included with this edition of ‘Outlook’. 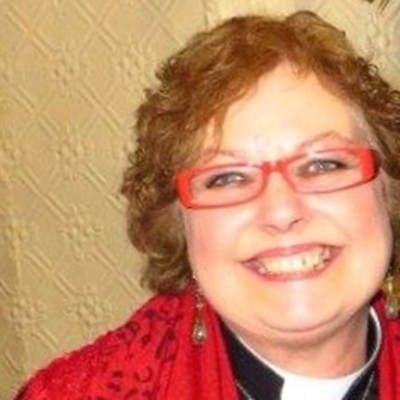 Messy Church is all about being church in a different way. Not on a Sunday. Our first Messy Church will be during Advent. I love to get messy! Our combined Cobram Anglican Grammar School and Anglican Parish of Cobram Fete, will once again be held in the grounds of St Margaret’s Cobram. Both the school and church are working in successful partnerships for this event on the 24th November. We worship with joy on a Sunday, experimenting with new expressions of faith. On Wednesdays we worship alongside Cobram Anglican Grammar School during school term. There is revival in the air! It is exciting, joyous and one would hope contagious! With prayer and faith we will not only survive but revive! So then do we need a spoonful of sugar to help the medicine go down? ‘The wind is about to change on Cherry Tree Lane.’ Do you recognise that statement? It is from Mary Poppins. The lives of one family was about to be turned onto it’s head. The Bank’s family were about to embark on an adventure of change, soul searching, re-evaluating previous held values, revival, renewal and to discover the true meaning of life. A mysterious Nanny flies into the lives of the Bank’s household, and life as they know it changed forever. What could this story of Mary Poppins have to do with the church and our lives as a family of God? I am of course referring to the ‘winds of change’. This wind blows all the time. The breath of Christ. Change happens everyday in many ways. But heres the thing…….not many of us like change. We are comfortable with what we have, good or not so good, we know where we stand. To step out of our comfort zones for anything new can be disconcerting. Well we may not be Cherry Tree Lane, but the wind of change is blowing. 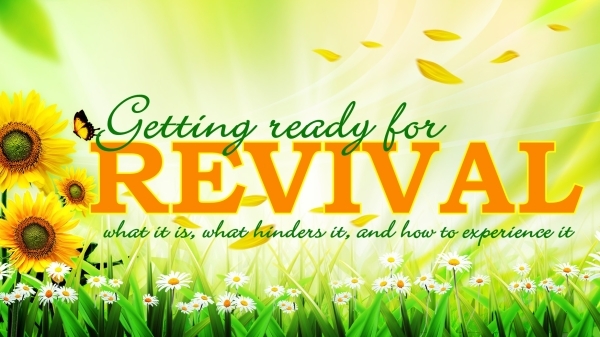 What does revival mean? It means to come back to, improve, rejuvenate or awaken. Those words excite me. I feel energised by these words. Hopefully it also excites you. Now to make these words an action. I hope we all can be energised by these words. No more ‘oh woe is us’. ‘The church is dying, it is the end of things as we know it or have known it. It’s not like the good old days’. Yep; well here’s the thing. No, the church is not dying, no its not about the good old days, what ever that was and no we are not going down hill. The word is C. H. A. N. G. E……. CHANGE! Everyone wants things to remain the same. Why? Did you know that John Newton who wrote Amazing Grace was hailed down for writing this ‘modern song’ over a hundred years ago? You see hymns used to come from the psalter. A lot of the ‘good old hymns’ we like to sing now, were at the time of being introduced, were thought to be too modern at times radical and not what singing in church was about! Church is a verb not a noun. We are a full expression of the purpose and mission of God. We need to focus on the positive in the church and the world. Focus on abundance; to be viable and vital, loving of all people, responsibility of community, being the sense of living water. The church is outside the church building in the big wide and at times very negative world. Sometime we will fail at change. But we learn and move on. Our mission is to be the face of Christ in the world, and in our own community. The kingdom is to be taken out to others, to be given away. From our love, our forgiveness, our gospel values, the church is not dead. It is alive. But to rejuvenate, revive and renew, we have to put ourselves into this mindset that we are the body of Christ and we can be disciples of Christ in all we do.